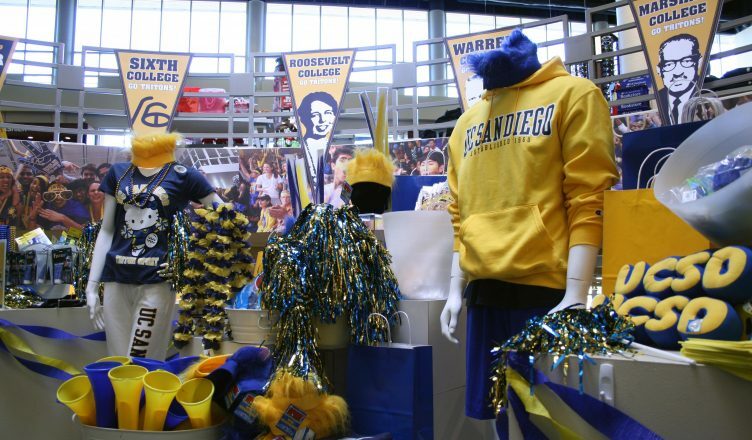 UC San Diego’s Bookstore averages approximately two thefts per week and loses about $60,000 worth of merchandise to theft annually, the UCSD Bookstore Loss and Prevention Department informed the UCSD Guardian. For the 2015-16, 2016-17, and much of the 2017-18 academic years, the UC San Diego Police Department recorded 42 Bookstore shoplifting offenses. There were three attempted shoplifts reported, as well as reports of one grand theft by fraud in January 2016 and a burglary by fraud in January 2017. Records also show a burglary in September 2016 and a petty theft in January 2017. According to UCSD Bookstore Loss Prevention Supervisor Thomas Bonetati, the Bookstore’s procedure in response to a theft varies, depending on whether or not the suspect is a student. The Bookstore Loss Prevention team’s criteria predicts a 95 percent certainty that an incident is a theft. However, the error rate is less than 1 percent. “Greater than 99 percent of incident reports given to the Office of Student Life result in the appropriate penalty,” Bonetati stated, not elaborating on what that penalty is. As part of the prediction criteria, the Bookstore responds to patterns regarding items that are most typically stolen. Bonetati noted that textbooks are one of the highest targets, and the theft rate is typically higher during the beginning of Fall Quarter. New merchandise is also more frequently the subject of thefts. Bonetati also affirmed that the Bookstore’s average theft rate is significantly lower than the average rate for other retailers and campus stores, with the retail methodology for tracking shrinkage of merchandise being less than 0.25 percent. “Retail shrinkage amounts generally average about 1.2 percent,” Bonetati said.